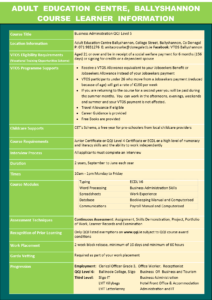 VTOS Enquiry Form The Vocational Training Opportunities Scheme is an educational opportunities scheme for unemployed persons which is funded by the Department of Education and Science with assistance from the European Social Fund. 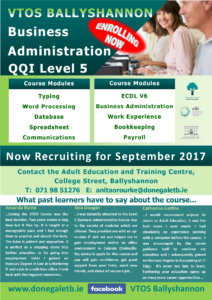 The Scheme is operated through the Education and Training Boards (ETB’s) and provides a special range of courses designed to meet the education and training needs of unemployed people. 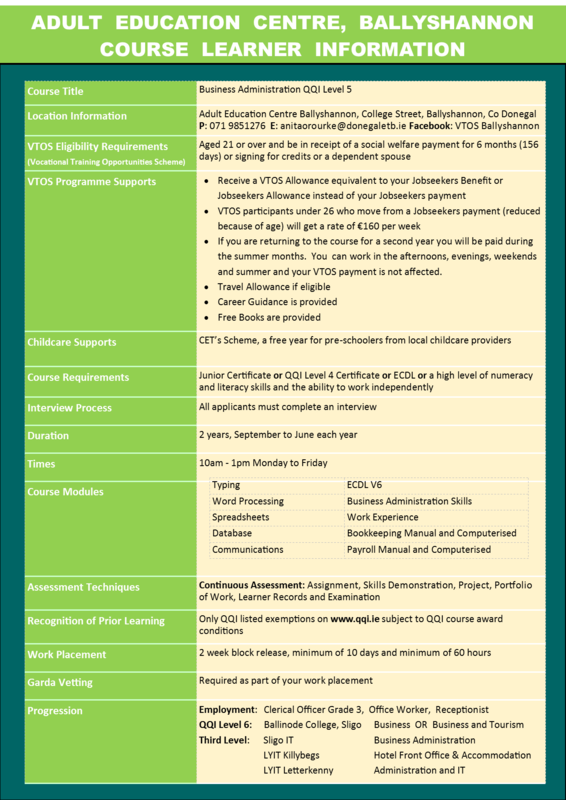 VTOS, aged 21 and over and be in receipt of unemployment payment for 156 days (6 months). If you are returning to the course for a second year you will be paid during the summer months. You can work in the afternoons, evenings, weekends and summer and your VTOS payment is not affected. 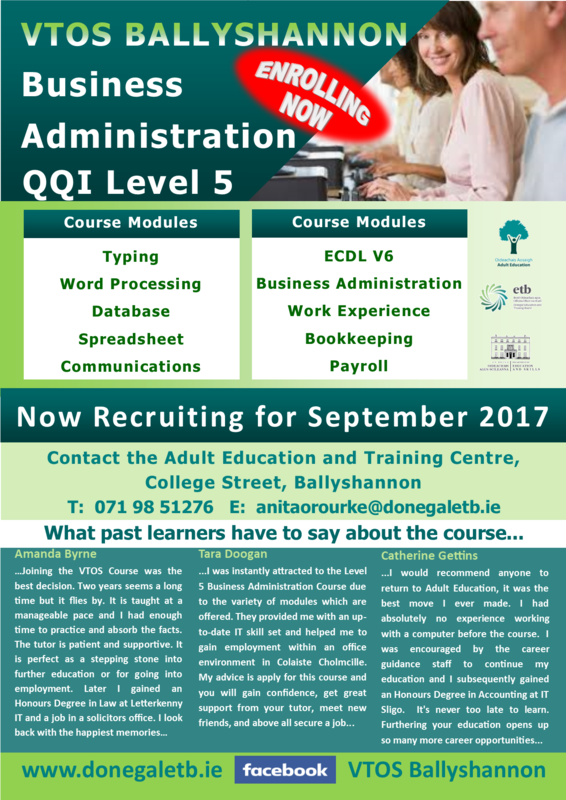 Download QQI Level 5 Business Administration Course Learner Information .